The Hamilton Downtown Mosque has made a deal to buy a building on York Boulevard, a property the congregation plans to turn into a new hub for spiritual and community life in the city’s core. The Hamilton Downtown Mosque has made a "miracle" deal to buy a building on York Boulevard, a property the highly multicultural congregation plans to turn into a new hub for spiritual and community life in the city’s core. The mosque launched a fundraising campaign in October and has collected $1.4 million, almost half the purchase price. The campaign will continue, but the drive to date was enough to close the $3.5-million deal. 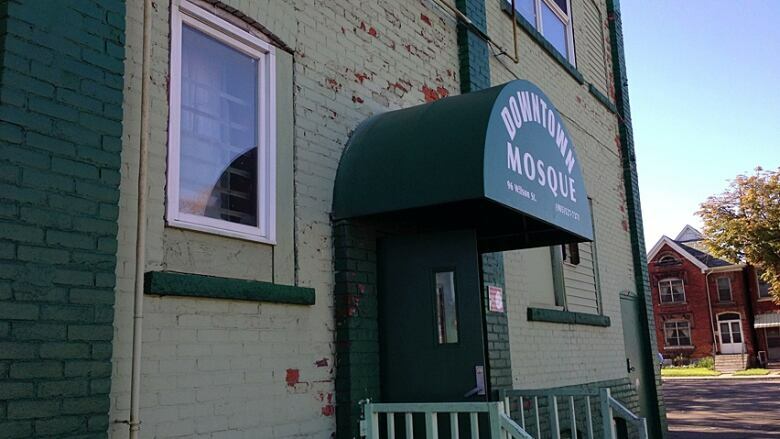 Mosque leaders shared the news during a service on Saturday at their current Wilson Street location, said Wahed Al Jabry, the director of the mosque’s board. “We announced it officially in the mosque and people, they shed tears,” he said. The vision for the new space is for it to eventually feature a recreation centre, programming for newcomers to Canada, a daycare and an elementary school, he said. “We’ll do our best to avoid so many children going around the street doing nothing getting into drugs, doing things that are prohibited in our religion,” said Al Jabry. But the first order of business, he said, is renovating the 35,000-square-foot building — currently the site of gym club Century Fitness — to ready it for regular prayers and services. “Now the real work needs to start,” said Al Jabry. He said crews will start this week converting part of the building currently used for storage into sanctuaries for prayer. Century Fitness is set to move out by the middle of April. The mosque’s leadership plans for the new location to open in time for Ramadan — the annual month of fasting during which Muslims refrain from eating between sunrise and sundown — which starts on June 28 this year. Councillor Jason Farr, whose ward includes downtown Hamilton, said the deal is “fantastic news” for Muslims in the lower city. The Hamilton Downtown Mosque was founded in 1992 and boasts a membership of around 3,000 families, many of whom are newcomers to Canada. It has members who originate from scores of countries, including Somalia, Ethiopia and Bangladesh, among others. "It’s beautiful," said Al Jabry, who was born in Tanzania. "In Islam, we have faith in front of one God. It doesn’t care about your colour — brown, black, white." The mosque's burgeoning population led its leaders to look for ways to expand the facility. They were involved in years of discussions with city hall and the Hamilton Police Service over the plot of land that sits behind the congregation’s current building. Mosque leaders had hoped to buy the property. But in 2010, the city purchased it for a planned police forensics lab, forcing the mosque to look elsewhere for a place to grow. In October 2013, it embarked on a public campaign to raise $3 million to buy the property at 221 York Blvd. Because their religion bars them from collecting or paying interest — and thus preventing them from signing up for a traditional mortgage — mosque leaders made an urgent appeal to supporters to raise the full amount. To date, Al Jabry said, they’ve collected $1.4 million from mosque-goers and supporters across Canada and have come to an agreement with the landowner to buy the property for a total of $3.5 million, to be paid in full by December 2017. Al Jabry would not disclose the name of the owners. But a land registry search reveals that a numbered corporation in Ontario owns the 0.6-hectare parcel of land, which sits on the southeast corner of York Boulevard and Hess Street North. Provincial records show the corporation belongs to John Cardillo, the founder and former CEO of the defunct gym chain Premier Fitness. Premier Fitness had a location at the York Boulevard site until 2012, when the company went into receivership. According to a February 2012 report in the Toronto Star, Premier’s management shuttered its 30 locations after pleading guilty in a Brampton court to violation of the province’s Employee Standards Act. A judge slapped Premier with a $130,000 fine stemming from complaints that the fitness firm failed to pay 38 employees wages totalling more than $75,000. CBC Hamilton was not able to reach Cardillo for comment. The Hamilton Downtown Mosque will continue efforts to raise the full $3.5-million purchase price. 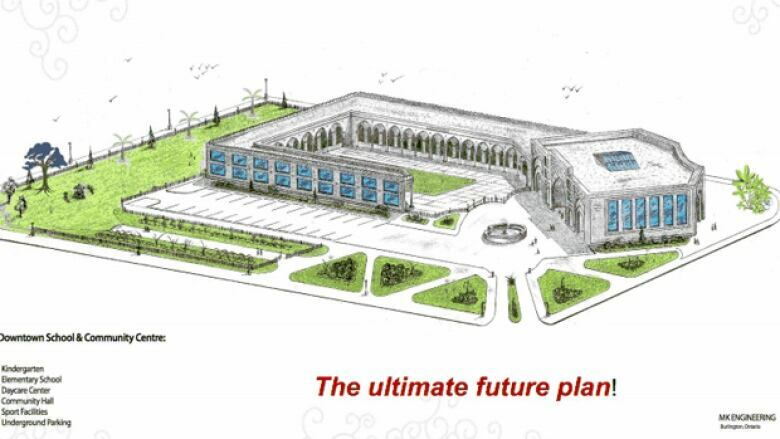 The renovations, Al Jabry said, will take place “in stages” and will also depend on donations. Well-wishers may still make contributions at the HSBC Canada branch at 40 King St. E, he said. The bank code is 016, the transit number is 10322, and the swift code is HKBC CATT. The account number is 322-077397-080.